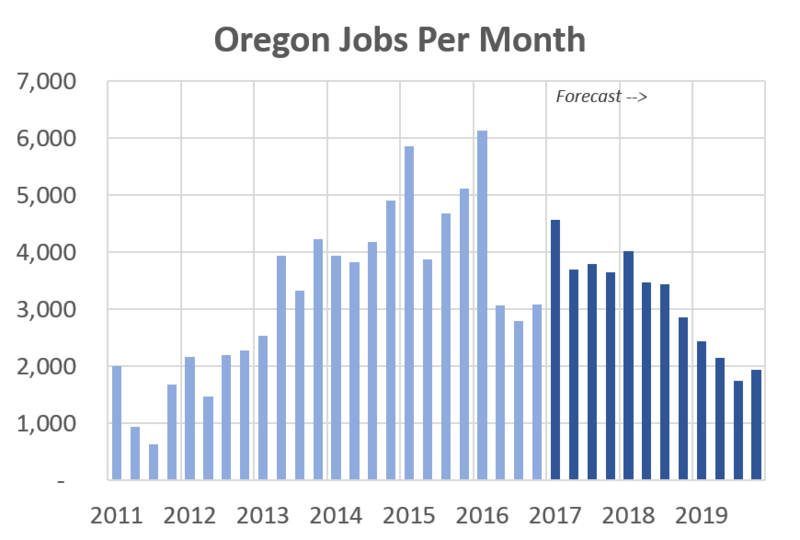 The Oregon Office of Economic Analysis released the latest quarterly economic and revenue forecast. For the full document, slides and forecast data please see our main website. Below is the forecast’s Executive Summary. As the U.S. economic expansion approaches its eighth year, it appears to be on solid and stable footing. Thankfully, expansions do not die of old age and the current one appears to be free of imbalances so far. Most encouragingly, it seems that the manufacturing sector is pulling through its malaise of recent years. Combined with better-than-expected data in recent months and expectations that federal policy is likely to at least be somewhat expansionary, the U.S. macroeconomic outlook is modestly brighter today than three months ago. The expansion still has legs and room to run. What can drive recessions, however, are policy mistakes and/or an event that coordinates growing pessimism in the economy. Given the large uncertainty regarding specific federal policies, all eyes are on Washington D.C. at least until better clarity is given. Oregon’s labor market continues to outperform the typical state, even as growth rates have slowed since last summer. Regional job gains continue to be more than enough to keep pace with a growing population, and all parts of the state are seeing growth. In fact, rural Oregon is adding jobs at a stronger pace than the nation overall. While federal policy uncertainty is not weighing on the outlook today, the range of possible outcomes is large. The most-discussed options generally fall into two camps when estimating their impact on Oregon. Some, like tax cuts, deregulation and infrastructure spending are likely to impact Oregon to the same degree as most states. However, others possible policies like rolling back the Medicaid expansion, worsening trade relations and federal land policy changes are likely to have an outsized impact in Oregon relative to the typical state. Heading into the income tax filing season, Oregon’s General Fund revenue outlook remains on track. Expectations are virtually the same as they were when the 2015-17 biennial budget was crafted two years ago. Personal income tax collections are currently expected to land within $4 million of the Close of Session estimate, with overall General Fund revenues expected to land within $113 million (0.6%) of the Close of Session estimate. Early in 2017, growth in personal income tax collections began to pick up. Little growth was seen during 2016 due to the impact of kicker payments for the 2013-15 biennium. With the vast majority of kicker payments now out of the door, growth rates are returning to normal. As always, the verdict will remain out on personal income tax collections until after the April filing season is tallied. This year, there is even more uncertainty in the tax season outlook than usual. This year, both federal and state refund payments were delayed until mid-February, and are just now beginning to ramp up. A new tax processing system is adding to the uncertainty. The nature and availability of data on tax payments has changed, and as a result, year-over-year comparisons are often misleading. Corporate tax collections have posted healthy gains in recent months after falling sharply during most of 2016. Given the expectation that collections would return to historical norms, revenue declines were built into the forecast. Nationwide, corporate profits have taken a step back, largely due to rapid appreciation of the U.S. dollar and struggles among energy firms and other commodity producers. With these downward pressures on profits having now eased, corporate profits and related tax collections are expected to stabilize going forward. 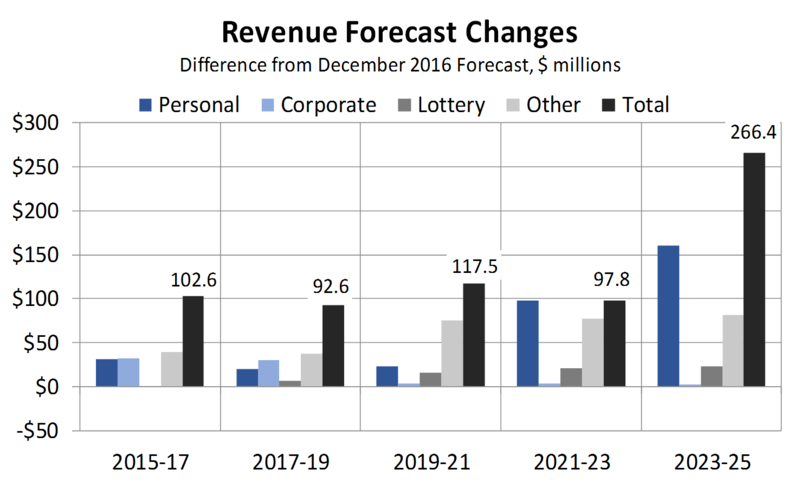 In keeping with a modestly stronger economic outlook, state revenues are revised upward over the 10-year forecast horizon. 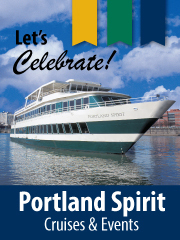 The majority of the increases come from personal, corporate, estate and liquor revenues. The lottery sales outlook has also been raised due to a somewhat more robust outlook for personal income and consumer spending. See our full website for all the forecast details. Our presentation slides for the forecast release to the Legislature are below.